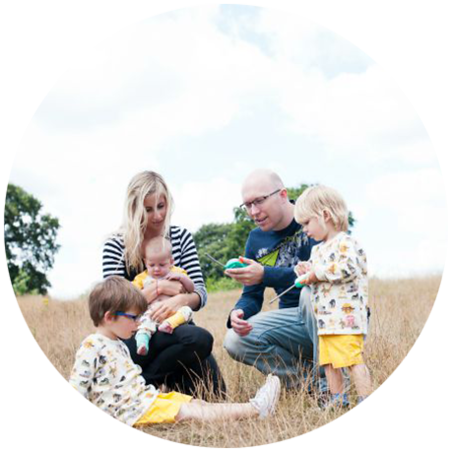 The awards were preceded by a delicious three course meal where I got to catch up with one of my favourite bloggers, Kate from Makeshift Mummy. 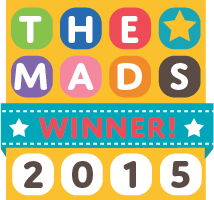 There were some fantastic winners including the brilliant Mamasaurus, and the wonderful Coombe Mill but all the finalists have such fantastic blogs that my google reader is now very full! 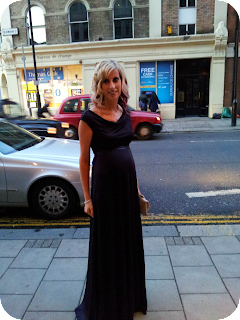 Tiffany Rose, a company selling gorgeous maternity dresses provided me with an outfit to wear and I felt so elegant, despite having a rather large bump. 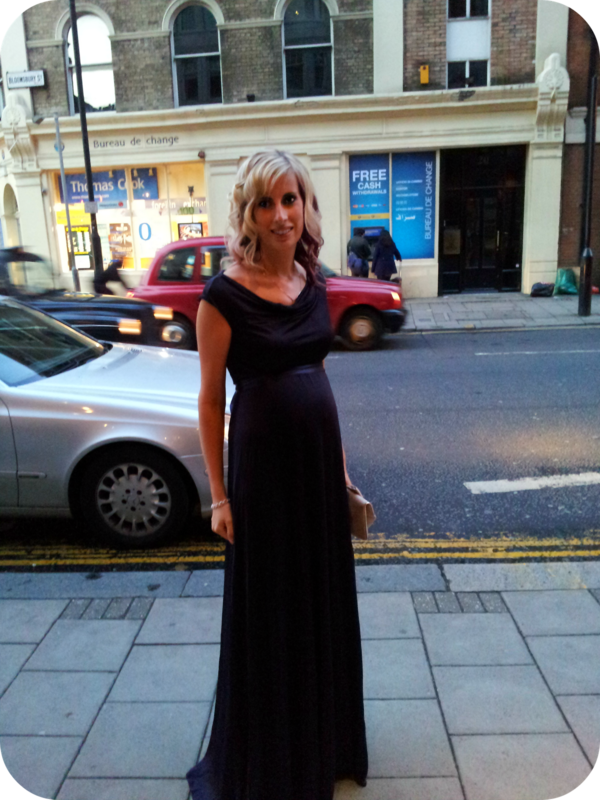 The dress was stunning and beautifully made, perfectly flattering for pregnancy and I had a lot of compliments. 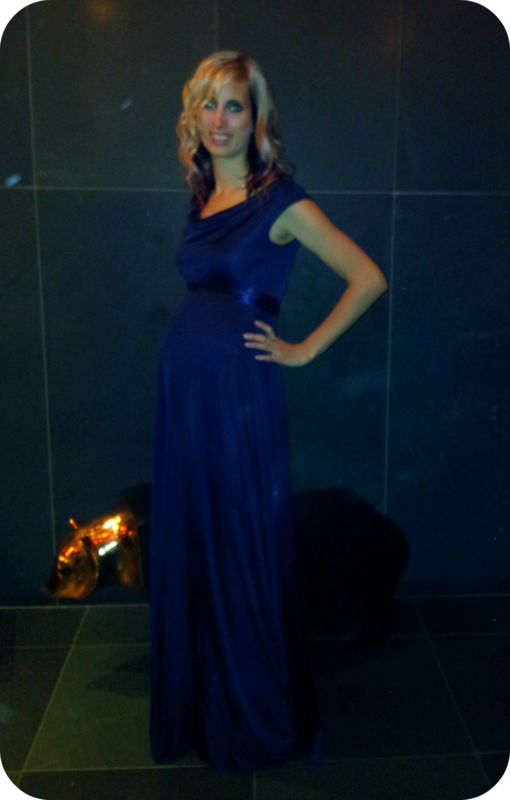 Now I could really do with some more invitations to glamorous events before February so I get to wear it again! The Liberty gown is a gorgeous two layer deep blackberry coloured dress, floor length even with 5 inch heels on (and I am 5 foot 9)! There is a removable sash that helps show off the bump and the cowl neckline hangs beautifully. I absolutely loved wearing it and felt very glamorous! Before I had to run off to catch the last train home (next time I am definitely booking a hotel! 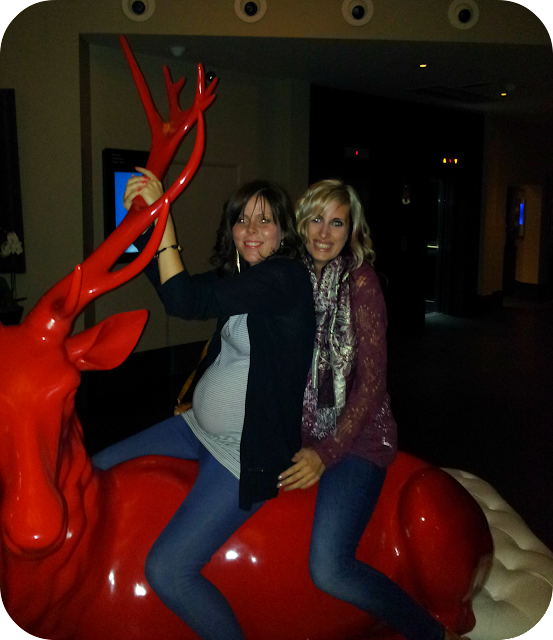 ), there was just enough time to climb aboard a giant red stag in the hotel lobby with fellow pregnant blogger Katie from Mummy Daddy Me. Surrounded by cushions it was far too inviting and I know for sure we were not the only ones making the most of the photo opportunity! Congratulations to all the nominees, finalists and winners of this year's event, and thanks to the wonderful orgnaisers! I would love to go back again next year! Thank you - I absolutely loved getting glammed up! It was good fun wasn't it, and was lovely to spend some time with you. You looked gorgeous in your dress. Glad to have had a quick chat at the beginning. You really did look stunning. So sorry to have missed you, I really wanted to catch up with you. We were fated as I missed the reception and you nipped off after. Now I see the photo I am sure I did see you in the distance. You looked stunning and I didn't even notice you were pregnant! I think that dress will be fab on you pregnant or not. 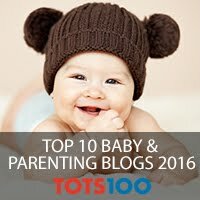 Glad you had a good night and thank you so much for the mention here! Might have to keep you to that one! It was a fab night wasn't it! You looked absolutely stunning. And I love that photo on the red stag. Didn't quite build up the courage to get a shot myself! I think there were a lot of drunken pictures on there - we may have been the only sober ones! You looked smashing and as for that stag - it was begging to be hopped aboard! You looked absolutely stunning in that dress! What happened to it at the end of the evening.....did Cinderella have to return the clothes?! Still looked great in jeans though! What a great effort and an inspiration! Shame I didn't make it to the awards. Haven't had a chance to meet you properly yet! You looked amazing, and it was lovely to chat during the hair curling! You looked stunning lovely in your dress, glad you had fun, I am very jealous that you got to go. You looked absolutey beautiful and I know for sure that you weren't the only one to have ridden the stag! That dress is amazing! I think you might have to book yourself in for a Christmas Ball or ten! Tiffany Rose has amazing dresses. Can you wear these dresses even after pregnancy? definitely! I have worn this since having Archie and I still love it!